For our expectations of an environment-safe planet, the outcome from the UN nuclear safety meeting in Vienna, 2011, is not a satisfactory solution. The proponents of nuclear power guarantee a safe future, but safety has been guaranteed also in the past. Furthermore, one main issue is avoided: the danger from the growing radioactive waste. The Fukushima disaster is the radioactive contamination that came from such waste. There is no recipe for cure for this man-made radioactivity, other than time spanning hundreds to thousands of years. The radioactive waste grows by 12,000 metric tons per year—a volume equivalent to 100 double-decker buses or a two-story building with a footprint the size of a basketball court. By year 2015, it will have reached about 250,000 tons. Plutonium—one of the most hazardous nuclear waste products—is a difficult-to-detect alpha emitter in the contaminated environment. A micrograms dose of Plutonium leads to illness and a life expectancy of less than ten years. (Voelz, George L. “Plutonium and Health: How great is the risk?” Los Alamos Science (26): 78–79, 2000). How could we be protected from a lethal doze of 1 microgram after it has entered in the food chain? How safe is the seafood from the already contaminated ocean? For nuclear energy supporters, the lessons from the Chernobyl and Fukushima disasters are not enough. While the Fukushima event is recent, the consequences from Chernobyl are still evident after 25 years. The human suffering and disease is uncountable. The city of 43,000 people was evacuated, and nobody wants to live within a perimeter of 50 km. The cost of a concrete sarcophagus for sealing off the melted reactor core was 18 billion dollars, but it yet deteriorates. A new larger sarcophagus is needed because, if the melted nuclear core were to escape, the quantity of plutonium is enough to kill 100 million people. The proponents of nuclear power are inexcusably ignorant in their silence about potential safe replacements. They evidently defend shortsighted corporate management whose interest is against humanity’s desire for an environmentally safe planet. An example of such ignorance is the silence about the Rossi-Focardi discovery of cold fusion known also as Low Energy Nuclear Reaction and the proven technology defended by the patent PCT/IT2008/000532. The Rossi-Focardi discovery is not the only option. The scientific community world-wide has been deprived of funding for research on energy alternatives to existing nuclear power. While billions of dollars have been spent on hot fusion without promising results, other alternatives that don’t match the interests of the nuclear power monopoly have been deprived of funding. During this time, it was theoretically proven on the basis of the BSM-Supergravitation Unified Theory (published in 2001 and archived in 2002) that the physical vacuum contains energy that is the primary source of nuclear energy. The amount of energy in the physical vacuum is enormous: Every cubic centimeter of space containes 3.8 E13 (kWh) energy which is not electromagnetic but related to mass by the Einstein equation E=mc2. This is the primary source of nuclear energy, which could be accessed by specific electromagnetic interactions. A recently discovered physical effect, called the heterodyne resonance mechanism in cold plasma, promises a much safer method for accessing the nuclear energy. Discussion of this was included in the open letter from international group of scientists and engineers published on May 14, 2011 by Foreign Policy Journal and other online publishers. 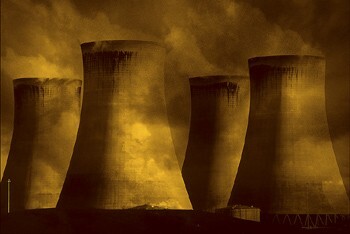 The proponents of nuclear power are also among those traditionally funded groups of scientific community who try to put their theories above the experimental evidence. Conclusion: Scientific and technological solutions exist for a safer replacement of the current nuclear energy technology. The decision to pursue such alternatives is in the hands of the policymakers. Dr. Stoyan Sarg is Director of the Physics Research Department at the World Institute for Scientific Exploration.